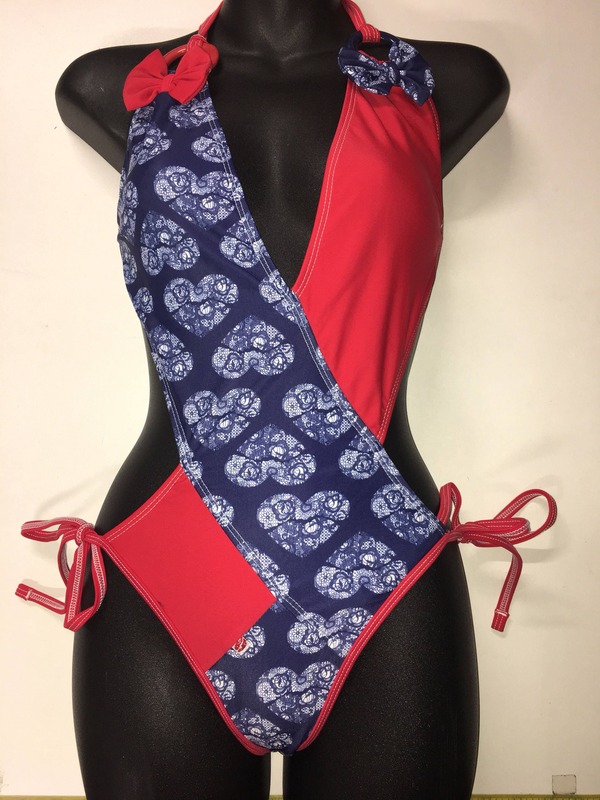 35% OFF this ORIGINAL MissManeater style *** Nautical print spliced Vfront tie up designer swimsuit with ring details *** BRAZILIAN cut! 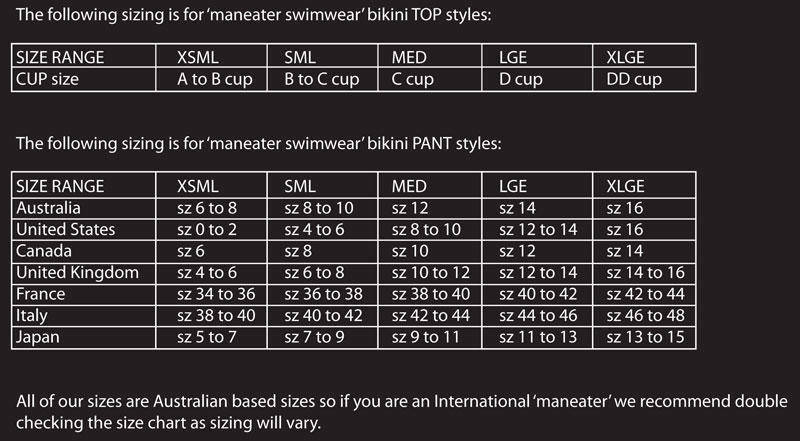 A high quality sublimation print, this garment uses a Polyester Lycra, with MissManeater's very own LOGO in a NAUTICAL_lace polka dot digital print. Teamed with nylon RED fabric, garment is lined with WHITE nylon lining both front & back for a quality finish. Show your LOVERBOY just what they are missing out on! Bring out your inner 'maneater' in this unique style!